Just in time for the end of the featured exhibition Invocation of Beauty, We’re excited to present the special lecture The Arts and Crafts Movement in the Pacific Northwest! Coming Saturday, January 5 at 10 am, Local Northwest Art Historian Lawrence Kreisman will present this specialized lecture, connecting influencing themes with Soichi Sunami and his photography career. Make sure to purchase your ticket fast, we’re sure to sell out! The ideals of the Arts and Crafts movement –a celebration of craftsmanship and the creative process; an appreciation of sound construction, pleasing proportion, grace, and simplicity; and a comfortable rusticity that sees beauty in nature and honors indigenous materials–found fertile ground in Washington and Oregon in the first quarter of the 20th century. Both states participated actively in the national Arts and Crafts movement encouraged by exposure at two world’s fairs that put the Pacific Northwest on the national and international map–Portland’s Lewis and Clark Centennial Exposition (1905) and Seattle’s Alaska-Yukon-Pacific Exposition (1909). There were significant contributions to a broad range of design arts, some of the most successful strongly influenced by the remarkable setting, climate, local raw materials, crafts of native inhabitants, and exposure to Pacific Rim cultures. 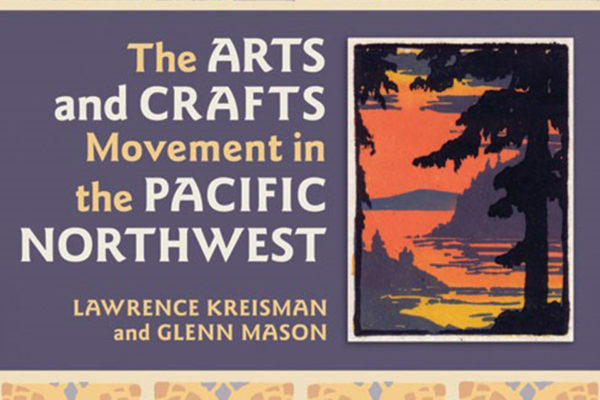 This presentation, based upon an award-winning book by Lawrence Kreisman and Glenn Mason, The Arts and Crafts Movement in the Pacific Northwest (Timber Press, 2007), explores this theme of regional identity. Examples in architecture, interior design, furniture, decorative and applied arts, photography, and fine arts demonstrate the remarkable variety of progressive, architect-designed residences, bungalows for everyone, and all manner of artistic and practical furnishings and accessories that were the handiwork of anonymous amateurs and significant regional artists alike. Lawrence Kreisman, Hon. 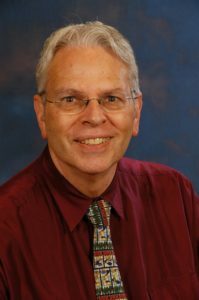 AIA Seattle, was Program Director of Historic Seattle for 20 years, He has been recognized for significant work in bringing public attention to the Northwest’s architectural heritage and its preservation through courses, tours, exhibits, lectures, articles, and 10 books. His publications include Apartments by Anhalt; The Stimson Legacy: Architecture in the Urban West; The Bloedel Reserve: Gardens in the Forest; Made to Last: Historic Preservation in Seattle and King County, Dard Hunter: The Graphic Works, and Tradition and Change on Seattle’s First Hill: Propriety, Profanity, Pills, and Preservation, as well as hundreds of design features in The Seattle Times Pacific Northwest Magazine.